Essenziale is a project started in September 2016, and has its foundations in a strong team spirit. one of its objectives is to provide a professional and quality service in a spontaneous and informal way, making sure that the client can fully enjoy both the flavors and the experience of eating itself. Best restaurant in Tuscany guide 2018 according to Bibenda and awarded with “Un Cappello” by Espresso guide 2018. Simone has inaugurated his second restaurant FAC (Fast And Casual), within the Eataly Firenze group. 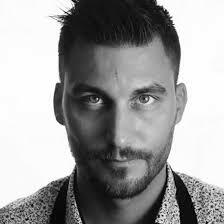 This young and talented chef is also the host of the TV program “Cambio menù” by Gambero Rosso Channel.